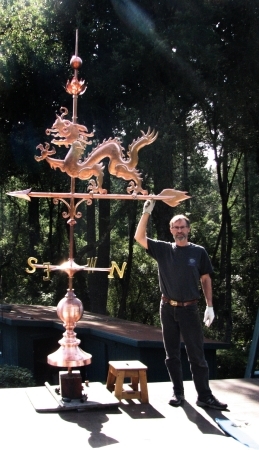 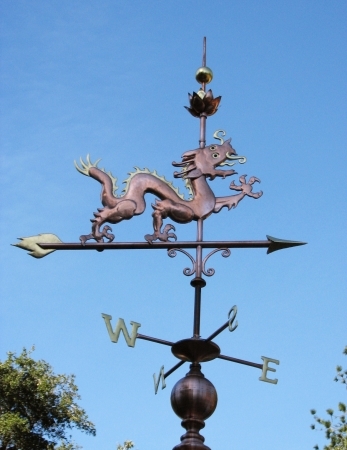 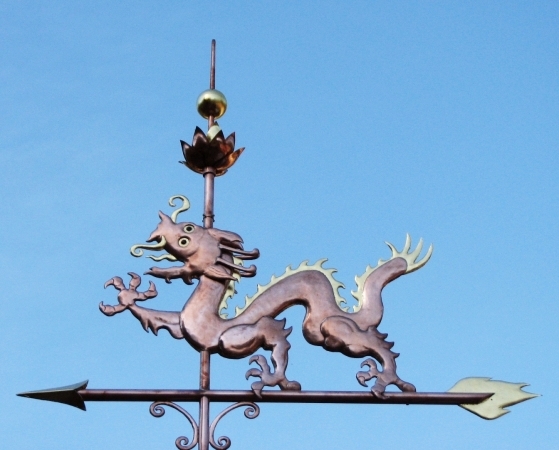 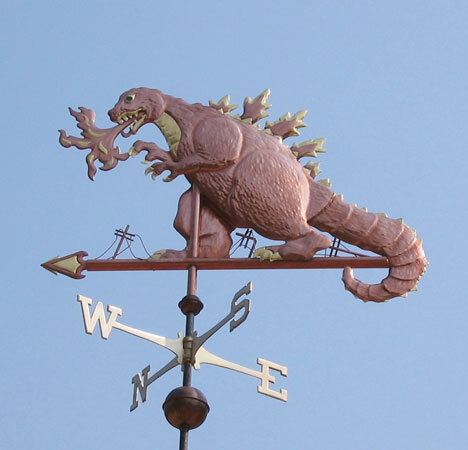 This Exclusive Chinese Dragon Weathervane was an exciting project for our studio. 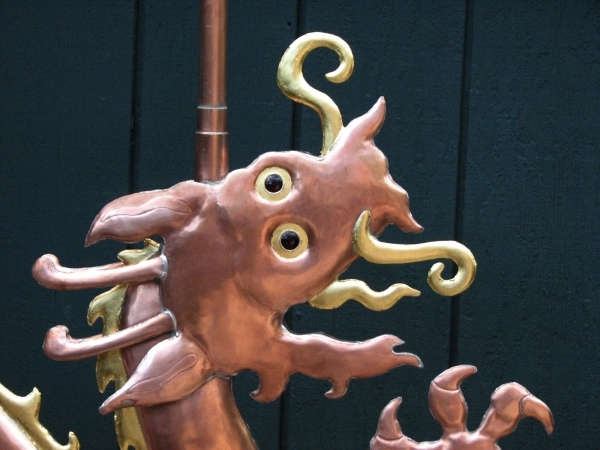 All of the artists, from designers, to pattern makers, to vane makers, to gilding specialists had fun with this unique challenge. 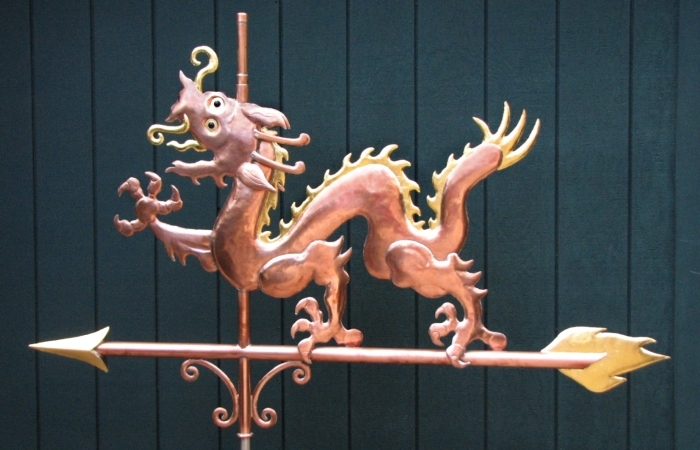 The scale and grandeur were so present, even from the beginnings of cutting the copper sheet, and designing the texturing hammers to be used. 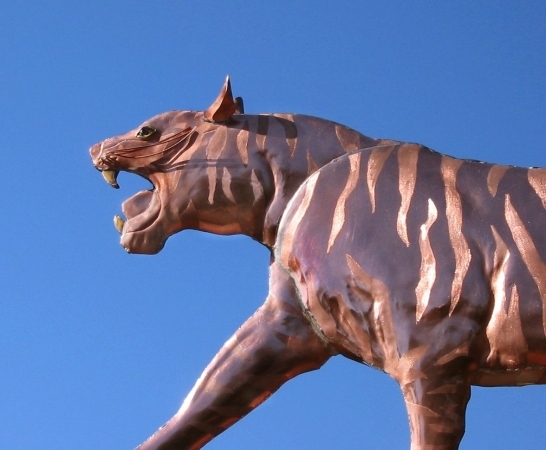 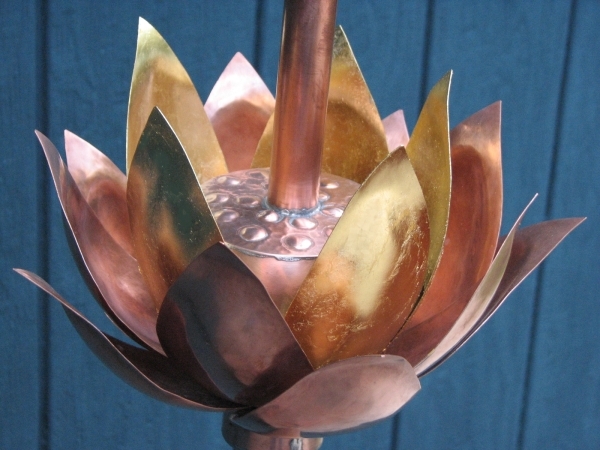 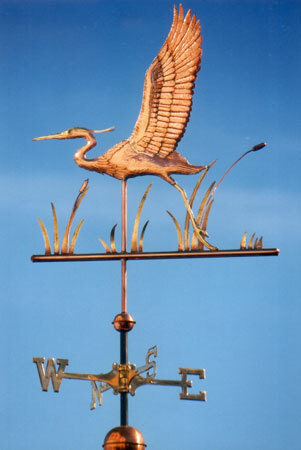 We are posting it here for your enjoyment and to illustrate there is almost no limit to how far you can let your imagination run, as long as you bring that idea to us with the understanding that we will likely be making some little changes to assure the sculpture piece functions as a true weather vane. 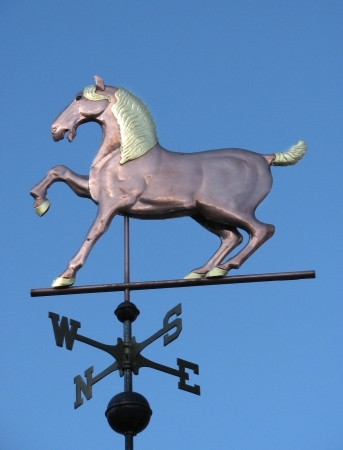 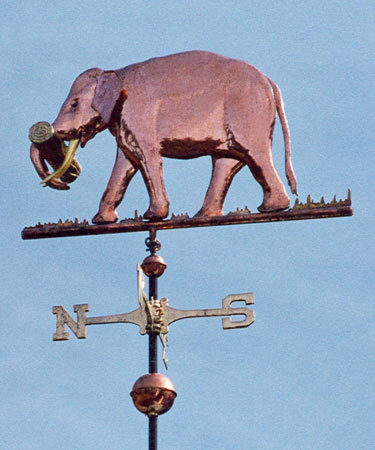 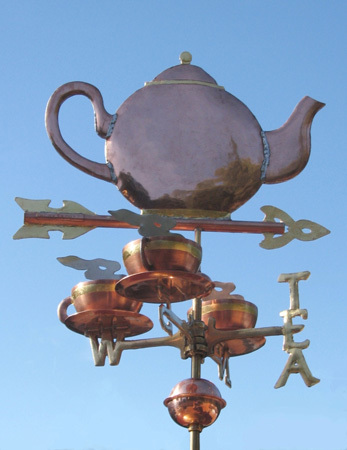 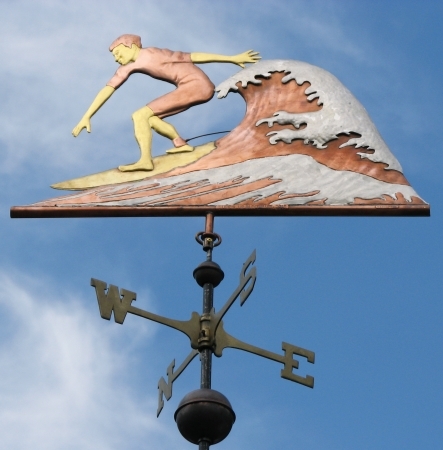 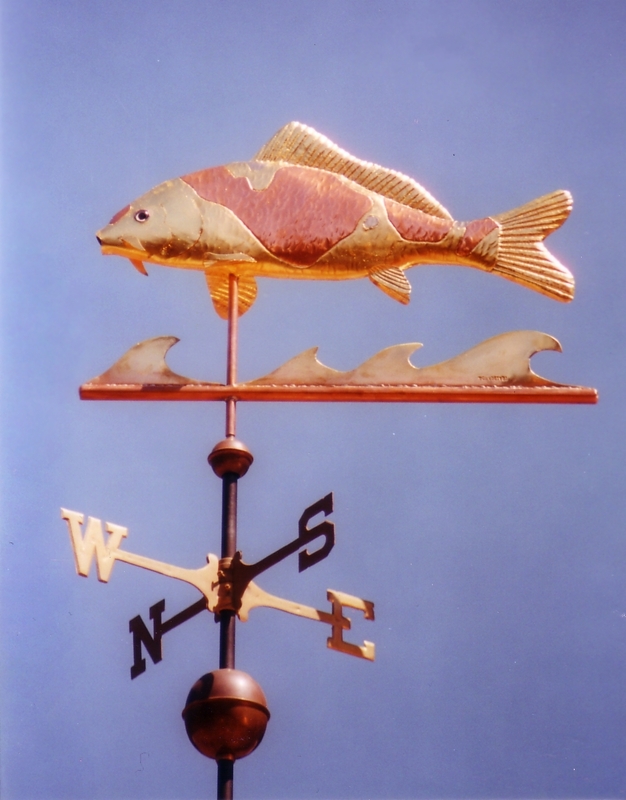 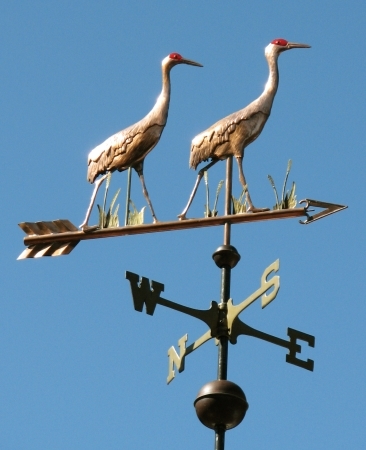 If you are inspired by this exclusive weather vane design please contact us with your ideas. 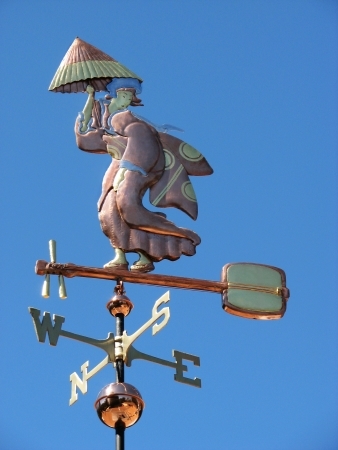 We would be happy to provide you with pricing information. 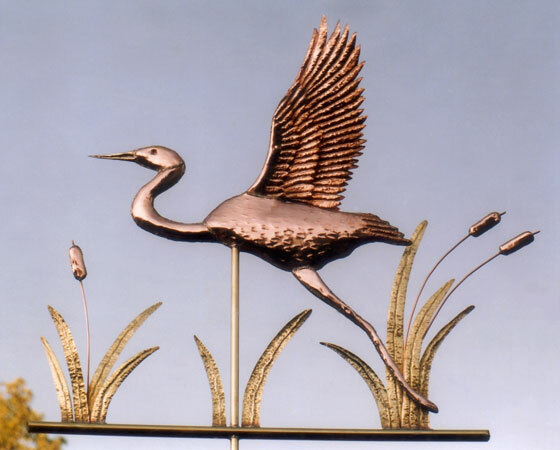 Note: The custom directionals, arrow and fletching, and the spun copper base would not be included with our standard pricing. 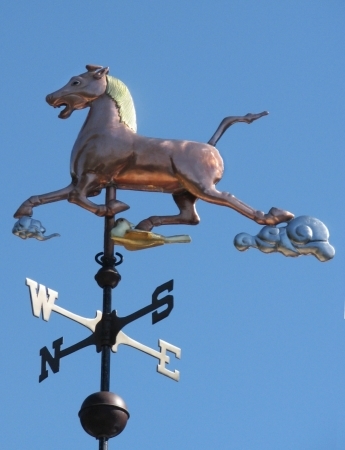 These items would be quoted separately if they are your selection. 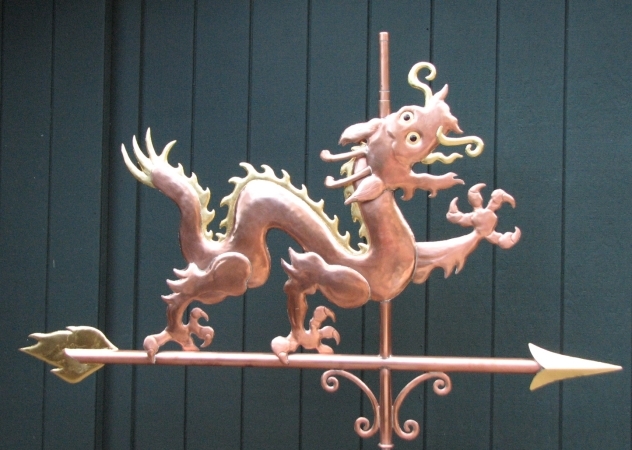 Please enjoy the Asian Fusion Gallery.